AFY would like to wish all of you Ramadan Kareem! CALLING ALL THE YOUTHS OUT THERE AGE 13-24 YEARS OLD ! 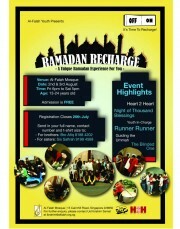 AFY is organizing our annual 2 days 1 night Ramadan Recharge! 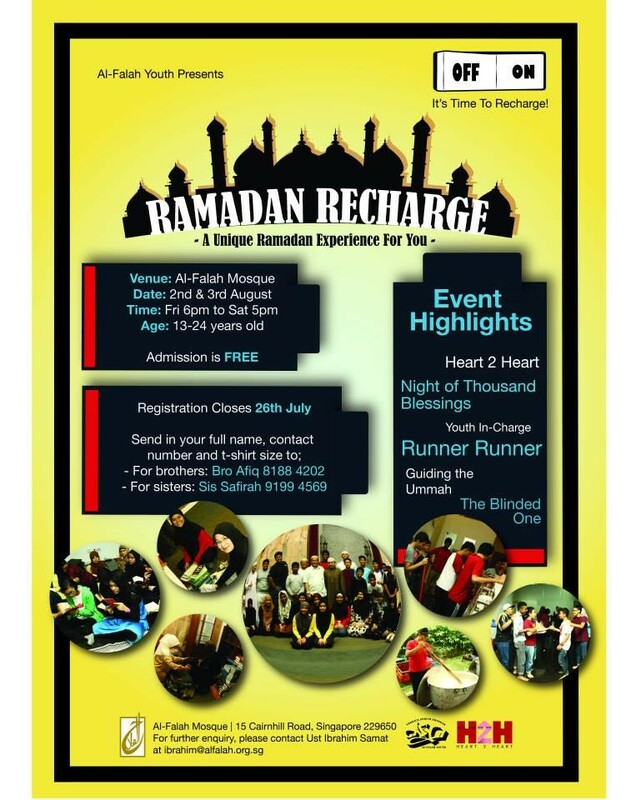 You are invited to come for AFY's Ramadan Recharge on the 2nd & 3rd August! Fun and exciting activities lined up for you! Join us for our signature event. Bring along your friends, the more the merrier! Admission is FREE! And FREE T-shirt will be distributed on that day too! Limited slots available. So what are you waiting for? Hurry! Sign up now! See you there, InsyaAllah!